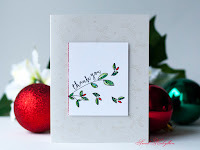 Hello blogger peeps! Hope everyone is doing great, January is flying by so quickly, at least for me. My helper isn't working with us starting this month, and I decided to take a chance to do all the work by myself, as there are only 4 of us and my kiddos are already in their teens, the house is clean all the time. BUT, it is getting to me slowly now!!!! LOL...i cannot blame anyone for this. I am not used to do the full work all by myself, for the last 15 years. All I was doing was cooking, and other small errands. Sorry to take you all topic, but lets go back to the card now. Chinese New Year is just round the corner, kiddos are in exam week, a d Friday our break starts. 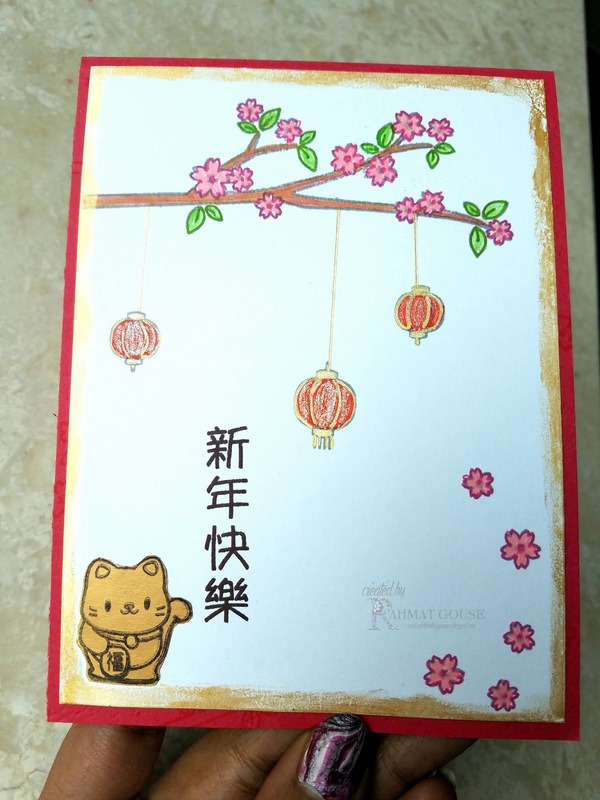 with the CNY mood, I made another card using the Mama Elephant - lunar wished stamps. This time I have used a white front. 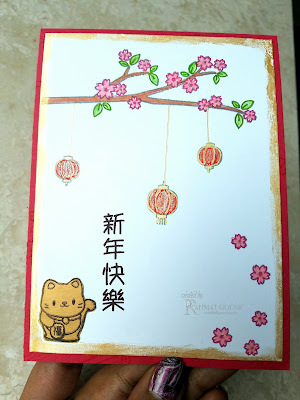 I stamped and colored the cherry blossom branch and flowers using various coloring mediums. Same for the lanterns too. The kitty is stamped on a gold card stock and fussy cut to add. The sentiment is stamped in black, and a few more scattered cherry blossoms. I added some Nuvo Gold Mousse around the edges in an uneven fashion. used a red textured base. 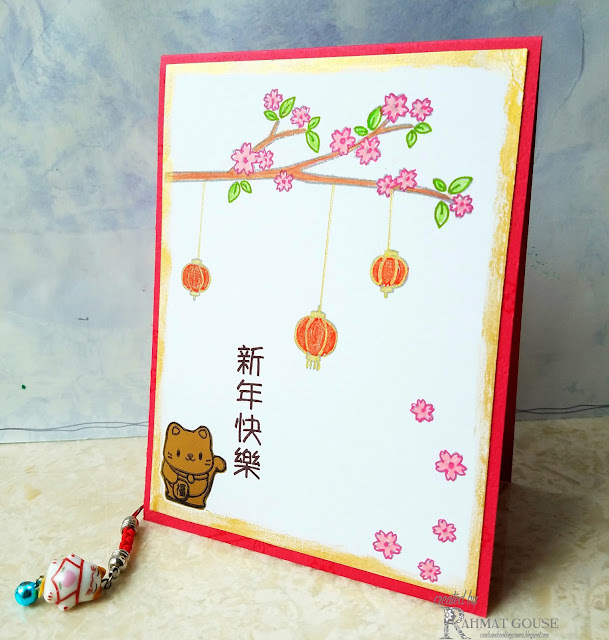 Really cute card with the cite kitty..love the flowers..And the lanterns remind me of the ones you posted a few days back on Insta..
Lovely card for the Chinese New Year! Thanks for joining us at Time Out! Chinese style is very nice!